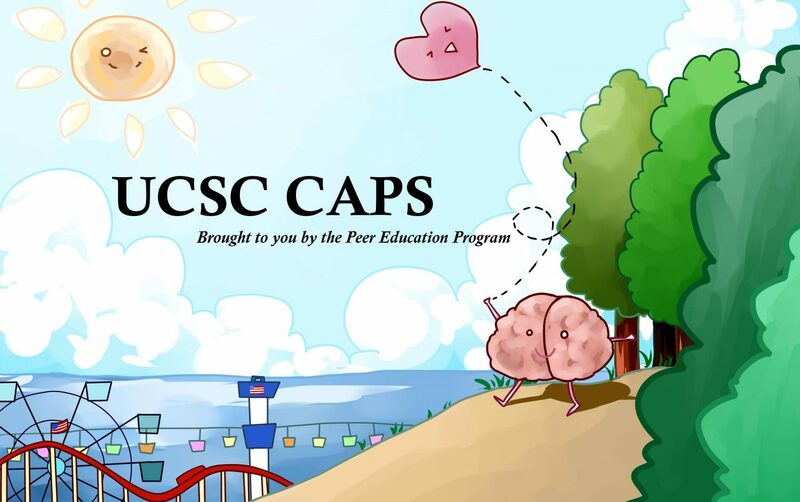 Inevitably, many of us UCSC students are graduating come this Spring quarter. This can be a time of excitement, happiness, and pride, but also a time of great stress and anxiety about all of the unknowns that the future holds. Whether you’re graduating this Spring, next Spring, or 3 Springs from now, how does the stress of preparing for your next stage of life affect your mental health? Read on to hear Peer Educator Aditi’s thoughts. One day, I opened my eyes and woke up in 2018. It was kind of a shock. I could picture myself as a wide-eyed freshman stepping into the Leonardo Dorm in Crown College, unaware of what was to come. And now, in less than six months, I will walk across a different stage, diploma in hand, future unclear. As a compulsive planner from a young age, I’ve been trying to embrace the uneasiness of not having a solid idea what my life after college will look like. The truth is, we may not be able to plan for unexpected events and situations in our futures, we can only embrace them as they happen. It’s easier said than done for sure, and the stress of wondering about your life six months from now, jumping to the worst possible scenarios, thinking of what to say to people when they ask, “Hey, what’s your plan?” can have an adverse effect on your mental health. The truth is, it’s stressful. Throughout my college career, and as graduation looms, I’ve been thinking more and more about how to take charge of the future, not just because of the desire to meet professional ambitions, but to increase happiness and stability. Below is my advice for getting real with yourself about your future, what you want to do, and who you want to be. While this won’t solve all of your problems, and may not stop that nagging feeling of doubt about the future, it’s a good tool to feel more at ease with the framework through which you live your life. What do you want? What do you really want? Is it remotely possible? Then go for it. Be honest about what truly makes you happy and then follow it. It’s easy to get caught between what you think you should be doing and what you actually want to do. If that internship sounds like it would be impressive, but boring, maybe reconsider it. Try to chase your bliss as much as possible. What’s important to you? Helping people? Being creative? Flexibility? Working outdoors? Working indoors? Working with kids? Working with animals? All these things can be figured out, and it may be beneficial if you listen to what you think is important to you. Don’t compromise on your core values and desires. The truth is, it’s difficult to know EXACTLY what you want to do straight out of college. That’s why it’s important to keep tabs on whether or not you truly want to do what you’re doing. If you decide that your intended career path or major isn’t quite doing it for you anymore, don’t worry. There’s no shame in this. As a student, about to graduate with a degree, you are capable and worthy, and completely qualified for that job. Put yourself out there, even if you’re afraid you don’t know what you’re doing. It’s easier said than done, but if you try to keep these four tips in mind, the future might not seem as nebulous and scary.